These were the opening remarks from Grandmaster Sam F.S. 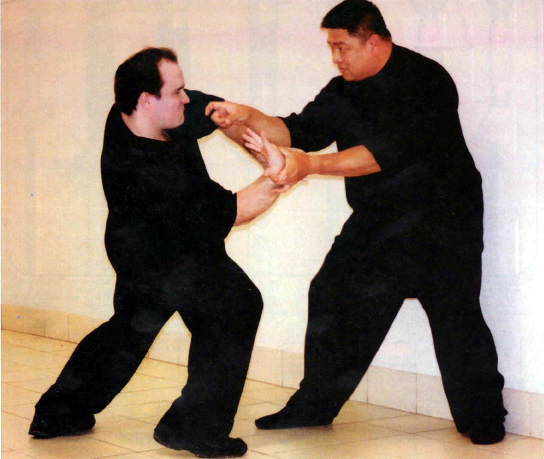 Chin during his recent visit to Arizona to teach his family’s unique martial art, called I Liq Chuan, which is rapidly growing in popularity across the globe. Based on Zen philosophy and Tai Chi principles, I Liq Chuan originates in Malaysia with GM Chin’s father, Chin Lik-Keong, who distilled his mastery of several Chinese martial arts styles down to their essence. Stripping away superfluous forms and fixed techniques, GM Chin’s father taught his art through I Liq Chuan’s special spinning and sticky hands skills. In August of 2009, Chin Lik-Keong passed the art to his son, who is almost single-handedly responsible for spreading the art outside Malaysia, officially naming GM Chin as the first lineage holder and gatekeeper of the family art. 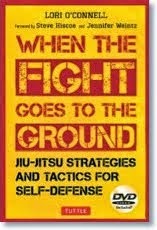 Zen philosophy is the foundation of I Liq Chuan’s “formless” approach to training. After arriving in the United States, Grandmaster Chin spent many years working at Chuang Yen Monastery in Carmel, NY where he was exposed to, and deeply influenced by the teachings of the Buddhist monks there. He saw that what the Chinese martial arts call “ting jin” (listening power) is nothing more than a limited form of the concentration taught in Zen meditation. This insight led GM Chin to pursue mindfulness meditation deeply. “Between two skilled masters, the one who knows (i.e. is aware) will win,” he says. When GM Chin began teaching his family’s martial art to the public, with his father’s blessing, he began with this understanding in mind. Training to simply recognize through pure observation, students often find many areas of their life improving as they develop more mindfulness. In turn, long-time students of mindfulness meditation are often drawn to I Liq Chuan, as the direct feedback offered by spinning and sticky hands training strongly reinforces their sitting practice, and often highlights a lack of the kind of awareness that transfers directly to real-world actions and applications. The first step is to be present, in the moment, rather than letting the mind be occupied with thoughts of past and future (like trying to anticipate what move the opponent will make next). Only when fully present can you begin to deeply observe the conditions of the present moment; and from observing, you recognize. From observing you recognize the difference from the relationship. On “change with change,” GM Chin gives an example using chin na (joint locks): “You are not a policeman,” he says. “No one will simply put their arm behind their back for you, or hold out their hand for you to do your move. You must be able to flow with it,” says GM Chin. So, what exactly do we meet and match? The pressure. Anytime someone touches you, at that point of contact there is some pressure. This is where I Liq Chuan’s special spinning and sticky hand skills come into play. Repeatedly cycling through a series of circular movements with a partner gives the students the opportunity to observe the changes in pressure at the point of contact and to recognize whether the change leaves the point full or empty. Water has no mind; its actions are determined by nature. It flows from high pressure to low, flows through openings and around obstacles. Similarly, students of I Liq Chuan learn to harmonize with the pressure; full, like water they flow around and where it’s empty they just flow into the space (attack). Over the last 20 years, GM Chin has organized all of those concepts and principles, and much more, into a crystal-clear, step-by-step curriculum with a standardized terminology used by all students around the world. At any time, students of I Liq Chuan know exactly where they stand and the next steps to take in order to advance. The clarity of his curriculum has made art a science – demonstrable and repeatable – which, along with his incredible charisma, has contributed to the art’s explosive growth across the globe. In just two decades, the art has gone from a small family style hidden away in Malaysia, to a worldwide community of enthusiastic students in nearly 20 countries, from Russia to Australia. Under GM Chin’s tutelage, students have won numerous titles and awards. GM Chin has been featured on Russian and Polish national television, and even on China’s largest state-run network – CCTV – which sent a film crew to the US to film a documentary episode about I Liq Chuan which will air late in 2015. Thanks to the guidance of GM Chin and the dedication of his students, the popularity of I Liq Chuan continues to grow with no end in sight. 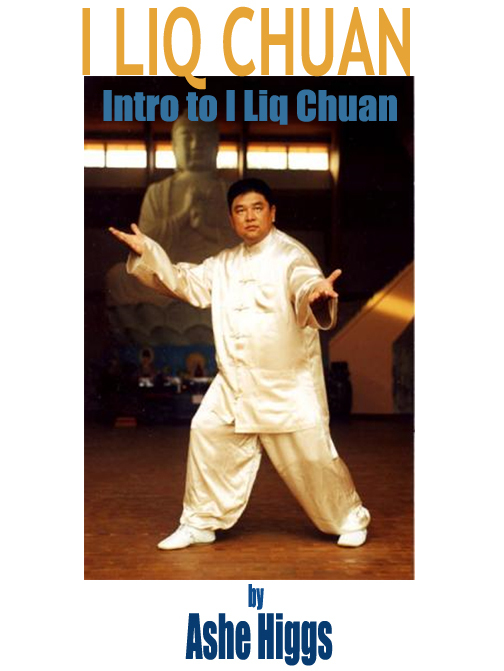 Ashe teaches I Liq Chuan at the local, national and international level. He has been training I Liq Chuan since 2001, and has been a disciple of Master Sam FS Chin since 2007. 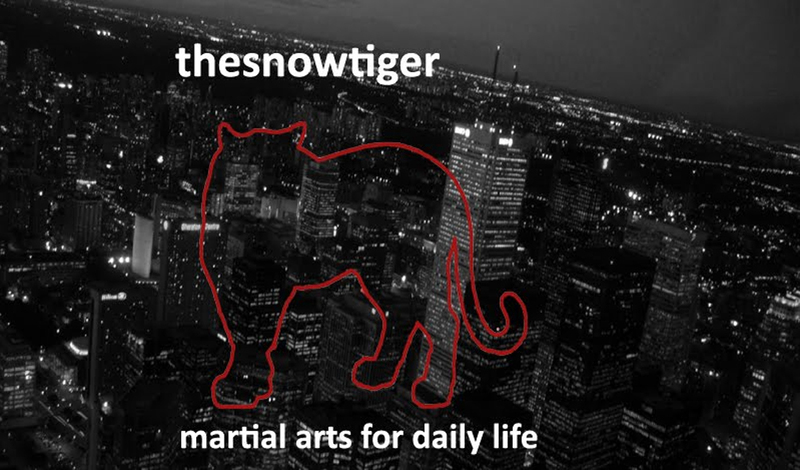 He has competed in full contact San Da winning gold medals (2007 Taiji Legacy light heavy weight, 2008 World Kuo Shu unlimited weight and a silver (2009 Legends of Kung Fu heavy weight), and currently lives in Central New York where he trains with a small group of semi-private students. You can follow him on Twitter@luoyegongfu, or on our website here. Many thanks Ashe for this very informative introduction to I Liq Chuan. 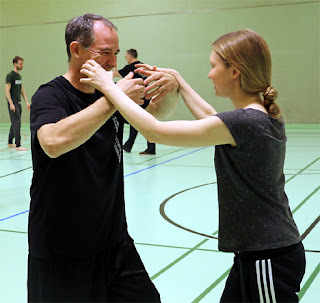 I encourage readers to follow the links in the article to further explore this fascinating martial art…it’s history, its foundation, it’s theories and its applications. We’ll definitely hear more from Ashe in the future. What a nice article on such a beautiful and effective art. I agree with you. Thank you again, Ashe, for this article.